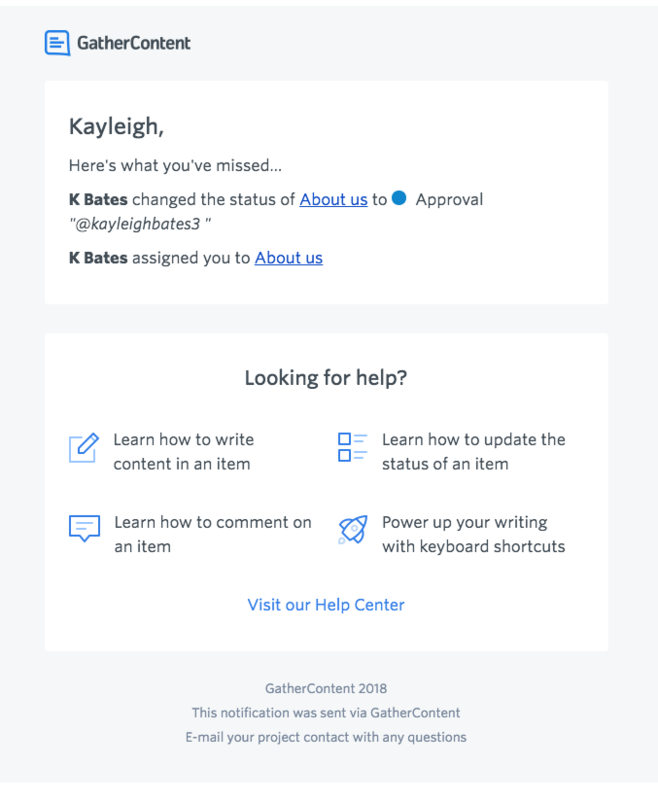 This article explains when notifications are sent from GatherContent, what to do if you've not received an email you were expecting and more. 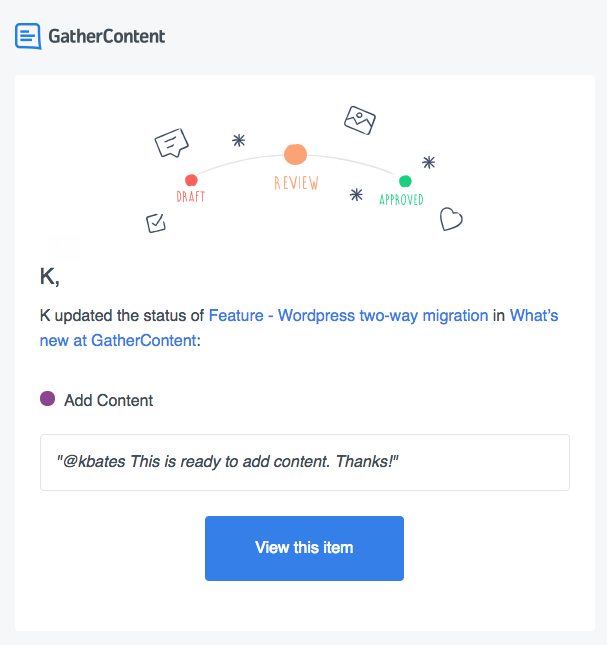 When are notifications sent in GatherContent? Why haven't I received an email? 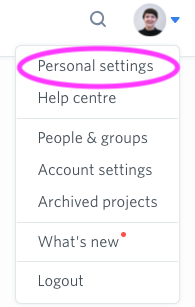 Can I customise email notifications? 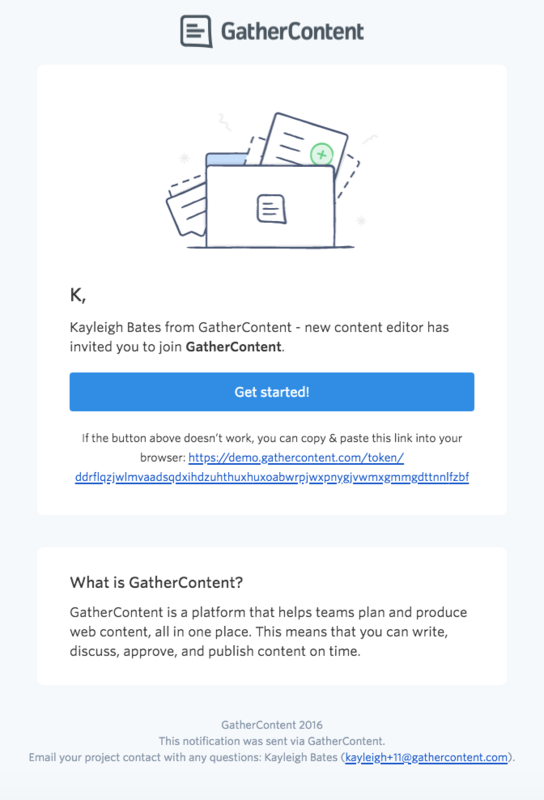 When inviting someone to GatherContent they'll receive an email with an invitation link. They'll need to click on the link in this email, and then they'll get the opportunity to set a password. Tip: To stop receiving an overdue email once a due date has passed, update the status of the item to the next status in the workflow. If you loop someone in when updating the workflow status of an item, the person will receive an email with the message and the status change. Email summary notifications will group together recent activity in GatherContent, over short periods of time. Check your junk or spam folder to ensure it hasn't been put there by mistake. If you still can't find it, let us know via the blue bubble in GatherContent and we'll check to see if there's a technical issue (maybe it has bounced). 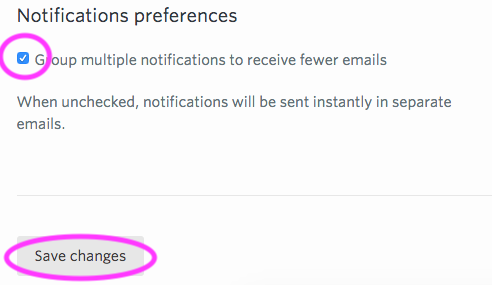 At the moment, it's not possible to customise the message content in email notifications.